Kleur in woord in kleur gebracht ... mooi Dauwtje! The poem is about the spiderweb in the picture. If you take a good look, you can see it hanging from the window to the wall. 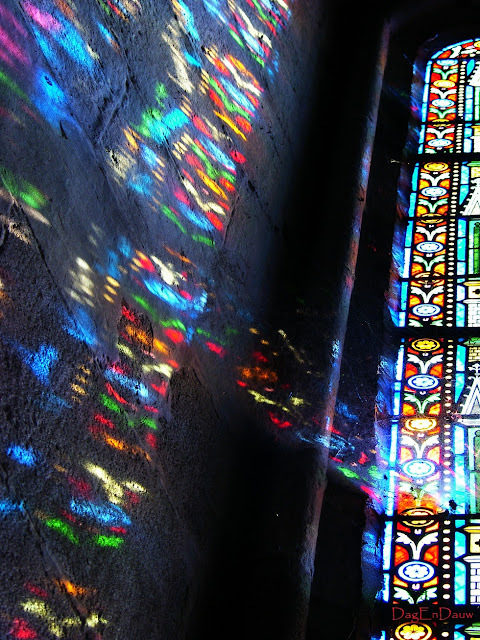 It seems to catch the colours, as they drop from the coloured stained glass. Did I make myself clear enough, lagottocattleya? Or did you mean something else?